If it is Hamas that you hate, let me tell you that the people you are killing have nothing to do with Hamas. They are women, children, men and senior citizens whose only concern was for the war to end, so they can return to their lives and daily routines. But let me assure you that you have now created thousands -- no, millions -- of Hamas loyalists, for we all become Hamas if Hamas, to you, is women, children and innocent families. If Hamas, in your eyes, is ordinary civilians and families, then I am Hamas, they are Hamas and we are all Hamas. I didn't see them when I went to Rafah on August 2. I wrote about the death of the Ayad Abu Taha family, which was targeted by warplanes, and saw the corpse of Rizk Abu Taha, one year old, when it arrived at the Kuwaiti Hospital. Now, the house and its future memories have been laid to waste, its children taken to early graves. Homes and recollections bombed into oblivion, their inhabitants homeless and lost, just as their camp always had always been. Never ask me about peace again. The bodies of the Al Ghoul family, killed early Sunday morning, were lined up on the floor of the Kuwaiti hospital in Rafah. Doctors wiped dried blood from the faces of three men. Outside the hospital, men and children shed tears while sobbing women cradled the smallest of the dead, kissing their faces. In another hospital room at the hospital, at least four children were piled into an ice cream freezer, all wrapped in white cloth drenched in blood. Doctors say that morgues in Rafah are at maximum capacity. Not forgetting that those "after" photos were taken two weeks ago... that is, only about one-third of the way into the present state of devastation in the particularly target-rich neighborhoods... the sight of which might wring a tear from even the robot eye in the sky. And just imagine what Rafah must look like from up there, having been reduced to ruin in the course of the enactment of the Hannibal Protocol... ya gotta love that cold-blood-drunk lust when it really gets into gear! Weapons manufacturers everywhere happier than butchers at a barbecue! And by the by, talking of our new robot pets, just wondering, do you suppose at drone college they have Civics classes? "What were they doing in those last moments? What did they look like after their death?" "baby Mustafa, only 24 days old"
"Palestinian man carries a body of Palestinian kid from Goul family -- killed while he was sleeping in his house"
"The bodies of my cousin’s children were stored in an ice cream freezer"
"so many in Rafah that we had to use cooling trucks and ice cream refrigerators to preserve bodies"
"A relative carries the body of a young girl during the funeral of at least 9 members of the same al-Ghul family who died after their house was hit by an Israeli airstrike in Rafah in the southern Gaza Strip, on August 3, 2014"
"In the photos taken after their death, my family looked so peaceful, asleep with their eyes closed." "A child waiting for his dead mother to wake up." "Put yourself in his shoes, what would you do if you lose your child?" Baroness Warsi has shown herself to be that most rare of creatures: a principled Tory. "If it is Hamas that you hate, let me tell you that the people you are killing have nothing to do with Hamas. They are women, children, men and senior citizens whose only concern was for the war to end, so they can return to their lives and daily routines. But let me assure you that you have now created thousands -- no, millions -- of Hamas loyalists, for we all become Hamas if Hamas, to you, is women, children and innocent families. If Hamas, in your eyes, is ordinary civilians and families, then I am Hamas, they are Hamas and we are all Hamas". There have been similar recruitment drives by proxy in the past (and no doubt the old imperial whitewash will come out some years hence). 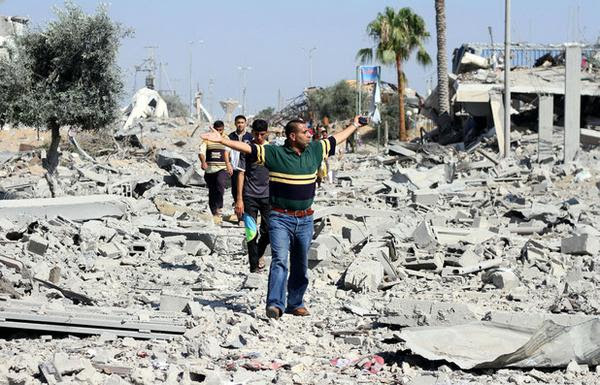 "In the past seven or more years, Israel has besieged, tormented, and regularly attacked the Gaza Strip. The pretexts change: they elected Hamas; they refused to be docile; they refused to recognize Israel; they fired rockets; they built tunnels to circumvent the siege; and on and on. But each pretext is a red herring, because the truth of ghettos -- what happens when you imprison 1.8 million people in a hundred and forty square miles, about a third of the area of New York City, with no control of borders, almost no access to the sea for fishermen (three out of the twenty kilometres allowed by the Oslo accords), no real way in or out, and with drones buzzing overhead night and day -- is that, eventually, the ghetto will fight back. It was true in Soweto and Belfast, and it is true in Gaza. We might not like Hamas or some of its methods, but that is not the same as accepting the proposition that Palestinians should supinely accept the denial of their right to exist as a free people in their ancestral homeland. "This is precisely why the United States’ support of current Israeli policy is folly. Peace was achieved in Northern Ireland and in South Africa because the United States and the world realized that they had to put pressure on the stronger party, holding it accountable and ending its impunity. Northern Ireland and South Africa are far from perfect examples, but it is worth remembering that, to achieve a just outcome, it was necessary for the United States to deal with groups like the Irish Republican Army and the African National Congress, which engaged in guerrilla war and even terrorism. That was the only way to embark on a road toward true peace and reconciliation. The case of Palestine is not fundamentally different." And yes, when its first representation of conscience turns out to be coming from a Tory, that can't be a very solid government you're having there. Oh, Cameron lost something from his cabinet. Too bad it was the wrong something. I thought that's where he kept those fossilized miniature testicles. The supposed "wave of relief" now washing over the world seems very much a wave of continuing irresponsibility, the relief mainly a matter of being pleased to have this potentially troubling, guilt-making story removed to the back pages, so that the proper businesses of lies and entertainment may resume. And by the way, as you're climbing back into your tanks, O Light Unto the Nations, dare we mention the little matter of reparations? Or have you not heard of that term. When the bill for the first payment (now estimated to come in at c. $6-8b) on the reconstruction of the ruins of Gaza, I doubt we will be seeing a single soul-searching think piece, whether in the relatively elevated aerie of Haaretz or in the Times of Israel or Jerusalem Post, as to how Israel ought to be ponying up every last shekel of that tab, and please multiply that by about ten for the p & s, thanks very much. Would Queens I wonder feel peaceful with the electricity out, vast fleets of killer Mershava tanks milling about along the East River, and hundreds of robot craft still buzzing with menace in the dark skies above? For it seems the drones did not receive the "pull back" order, but you know how it is with these brilliantly precise new technologies, a few bugs still to work out, just a matter of small details. Finding out what's happening in Gaza today is not easy. But if you check it out, you will find that there are literally thousands of terrorized, stranded people in Gaza who continue, in the face of an assault that will one day be ranked among the most salient calculated state atrocities of a period of history not noted for kindness, to communicate with each other -- and, with us, the "outside world". Here for example are the notes sent over the past 90 minutes or so by Sarah Ali. "Muslim. Literature. Linguistics. Nature. Kids." Earlier today my nephew told me to charge my phone "before electricity goes out". He's 5 & he thinks this is normal. Never saw Gaza this dark, even during pre-attack daily power cuts. Small lights are turned off; batteries dying. Darkness is all I can see. It's so dark I can't see my hand. I stare at the stars outside my window. An object (drone or F16) hovering. No bombing, just terror. 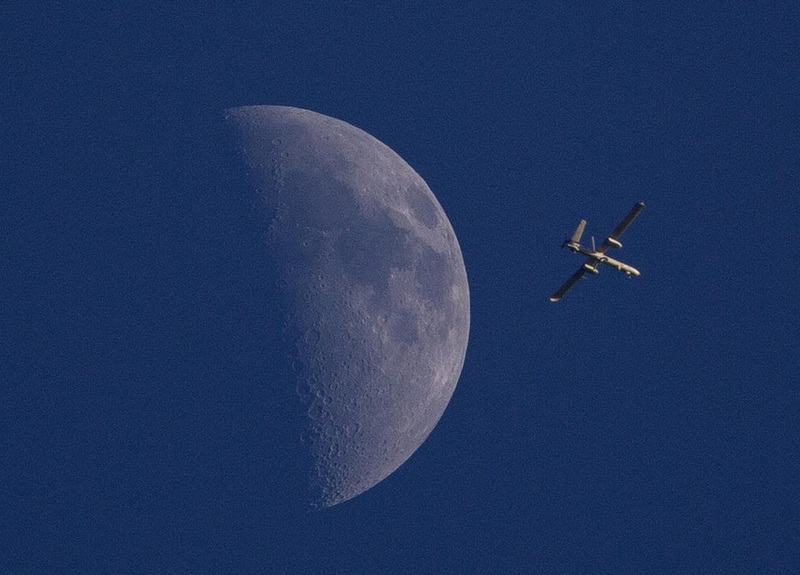 Ceasefire or not, Israeli drones never go away. And they are the most horrible of all. Oh well, I had so wanted to believe Hilton's comment yesterday re. the brutal conduct of the rogue terror state Israel, self- appointed Gestapo of the world, in overseeing the concentration camp which is occupied Gaza, causing minds to change in the American Jewish community. I understand that American Jews are somehow "different". My wife's family suffered dispossession, displacement, beheading, gas chamber, at the hands of the Nazis. Those who survived remained compassionate people. Committed to peace. But of course, they were Europeans, they'd known actual suffering -- something quite apart from persecution mania. Of course everyone knows but fears to come out and say that it's only the massive pressure of American Zionists upon the American government that allows the Israeli occupying force in Palestine to continue to behave with impunity. After all, quite apart from any possible moral issues, that annual $3.1 billion injection of "military aid" -- including the redundant supplying of the most devastating and inhuman "experimental" "conventional" weapons ever known, not to mention the countless further costs in supplementary armaments, available at all times in support of the Total Hasbara (bombs plus lies = Israeli conception of military strategy), if directed instead to a few of this country's present crying needs (health care, public transport, the list is long) -- might well have a chance of actually doing some good. Now that talk of reconstruction has begun, which countries are stepping up to volunteer to help with the staggering costs? Well, Norway for one. Norway, which has already provided the incredible Dr. Mads. Today I was talking with the other two residents of this block who have survived life on the freeway feeder the longest. One was the guy next door, whose dad was killed attempting to cross it (run over, as was I, though in my case without the bonus of ending up dead -- merely crippled), the other a woman down the block, who'd been born and raised in Germany. She said that the Gaza situation has deeply affected her. 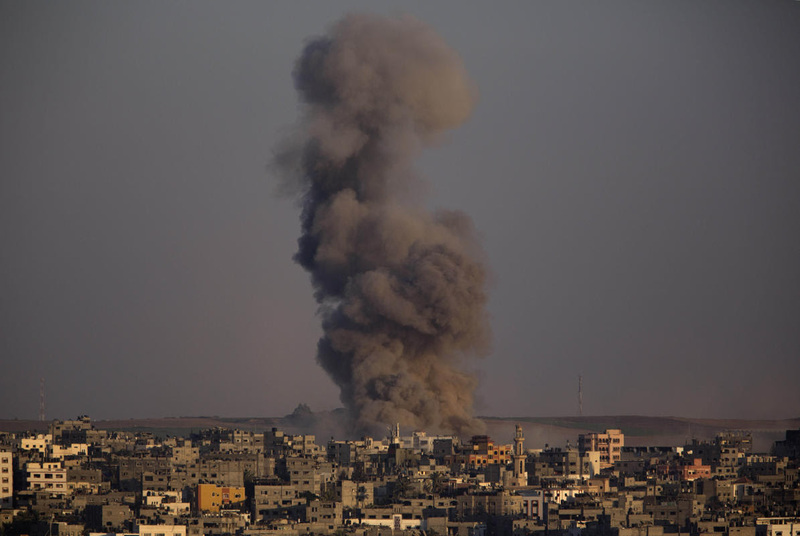 "Every time I hear a plane going over, I imagine what it would be like to be in Gaza. Every time I feel hungry, I imagine what it would be like to be in Gaza." She said that to people in Germany, the stage of offering reparations to the victims of their particular brand of state terror had been a necessary first step in coming to terms with collective guilt resulting from having wrought collective punishment upon a people. "So, of course, the Jews had to be compensated." She was saying -- reparations, yes, of course, first step, absolutely necessary. But since when has the ultimate Schnorrer State, Israel, reimbursed any of its victims? No, with these charmers it's "We destroy, you pay." So, to think that minds are changing... a shred of hope. A word about the author of this piece: a Gazan secular feminist writer, not so old in years but obviously steeped in the experience of this world. Much of what she says can perhaps be viewed in a somewhat different light when her background is taken into account, along with the personal journey that seems to have brought her to this point from that suggested in this Mother Jones piece of three-and-a-half years ago. Levy's unpardonable crime is vocal opposition to the war and to the bombing of Gaza. According to recent polls support for the military operation in Gaza among the Jewish Israeli public stands somewhere between 87% (Channel 10 News) and 95% (Israel Democracy Institute). Even those who are secretly against the war are cautious about voicing their opinion openly. "What is different this time is the anti-democratic spirit. Zero tolerance of any kind of criticism, opposition to any kind of sympathy with the Palestinians," says Levy. "You shouldn't be surprised that the 95% [are in favour of the war], you should be surprised at the 5%. This is almost a miracle. The media has an enormous role. Given the decades of demonisation of the Palestinians, the incitement and hatred, don't be surprised the Israeli people are where they are." "The young people are the worst. More ignorant. More brainwashed. They have never met a Palestinian in their lives". Thank you, Tom, for keeping the heinous crimes of Israel before our eyes--it's revolting to think the powers that be simply turn and look the other way when faced with such atrocities. Can't keep out of mind this past month the words of Thoreau to Emerson, from Staten Island, 8 June 1843 -- I am ashamed of my eyes that behold it. In the long run I don't think it will be forgiven or forgotten quite so easily as seems to be assumed now among those who are responsible. But that doesn't help with the present or near future, alas.